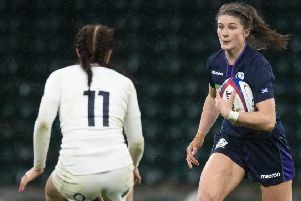 Scotland U-18s pulled off a memorable win over England in the opening match of the Six Nations Festival in South Wales with a 32-27 victory. What made this win so remarkable was that the young Scots suffered a 64-0 defeat to England earlier this month. The Scots trailed 5-15 at the break having scored one try through winger Femi Sofolarin but then in the second half they proved the fitter side to score further tries by Sofolarin, wing Jack Blain (2) and centre Robbie McCallum. Dan Lancaster converted two of the Scotland tries and kicked a penalty goal.